There’s nothing quite like easing yourself into a hot spa pool on a cold winter’s night, letting the warm waters whisk away the stresses of a long work day. If you want to install a spa pool at home, here are 5 of the most important considerations. Any discussion of a spa pool must start with the most basic question: Do you want an inground or portable unit? Portable spas are the most common type, as they’re easy to install (no digging required) and there are a number of options in terms of size, colour, extra features and manufacturer. You can also take it with you if you decide to move house. 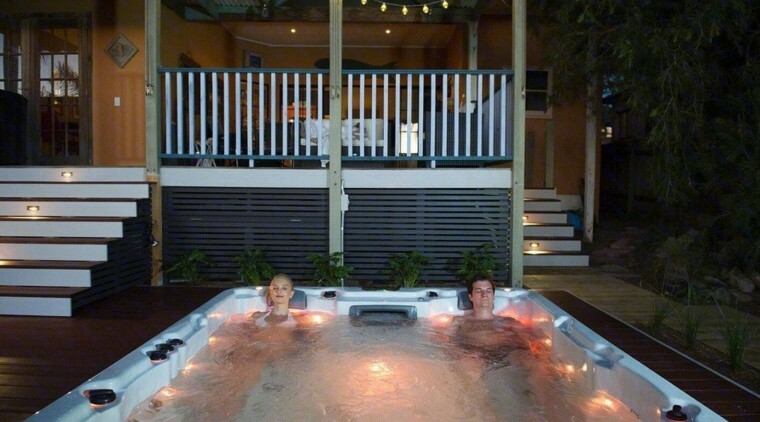 Inground spas are commonly installed alongside a swimming pool in order to simplify the plumbing. While they can look fantastic, there are downsides. For one, you can’t move the spa if you ever want to remodel your outdoor area, and it’s also hard to find inground spas that support the kind of powerful pumps included with portable spas. If you’ve ever considered buying a spa, chances are you’ve heard rumours about stringent fencing requirements. While spa ownership may have been quite an involved undertaking in the past, changes in 2017 have made it much easier to own a spa pool. The rules for Australian spa pools vary by state, but in general they need to have a cover that a small child could not remove. Some states have similar fencing requirements for spas as they do for pools. You can find links to all of the relevant Australian rules and regulations on the Swimming Pool & Spa Association website. The size of spa pool you can install on your property will largely be tied to the space you’ve got available. You’ve got more options with portable spas, as they can be placed on decks and right up against the side of your house, whereas inground spas will have a different set of requirements. If you got for the latter option, you’ll also have to contend with building permits and getting construction equipment onto your property. 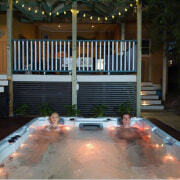 Spa pools range in size from three seat units all the way up to units capable of seating 10 people. There are also swim spas, which are basically elongated spa pools. When it comes to spa pool maintenance, there are three main areas you need to understand. Each is important to maintain water quality and keep your spa – and you – healthy. Water balance: This means keeping the mineral content of the water balanced to protect the spa equipment and prevent scaling. Given the relatively small volume of water, chemical changes occur at a much faster rate in a spa than they do in a pool, making water balance extremely important. You’ll need to manage the alkalinity, calcium and pH levels. Sanitisers: Your spa pool is a giant tub of hot water, and as a result will be home to countless micro-organisms. You’ll obviously want to kill these quickly, so you’ll need a sanitiser. Chlorine and bromine are the two most popular options. 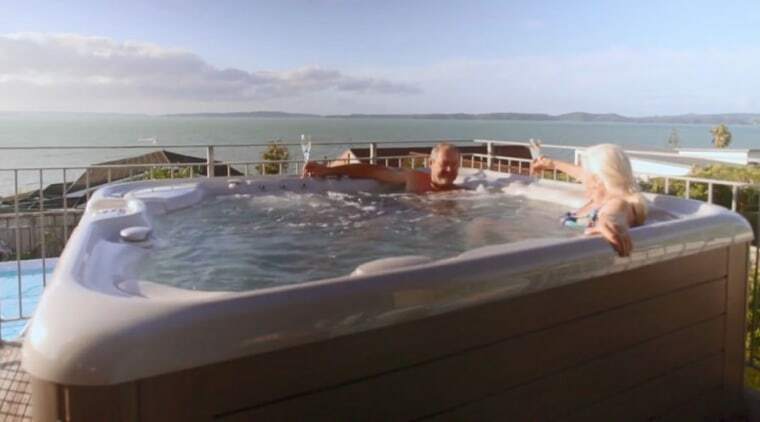 When you buy a spa pool, the manufacturer will be able to recommend one suitable for your model. Oxidisers: Over time, spas accumulate a lot of waste. This is things like bugs, oils, skin cells and dirt – as well as numerous other elements. These combine to cause discolouration in the water and eventually, algae. This is why you need an oxidiser, to break these things down and keep the water clear. A water filter works with the oxidizer to remove anything that’s left over. 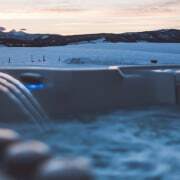 Using Hot Spring Spas as an example, the company claims that the average cost of running one of their spas will be around $6.76 per week when the air temperature is at 15.1 degrees. 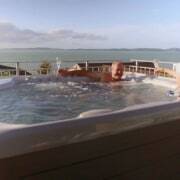 In Wellington, the same spa may run at around $10 per week. As with maintenance, spa pool heating can be broken down into two distinct categories: Heat pumps and gas. Heat pumps: Highly efficient and reliable, spa pool heat pumps work in much the same way as regular home heat pumps. They extract heat from the air and then use this heat to warm the water. They’re quite efficient, but have to work harder in winter as there’s less heat in the air. Gas: You’ll find gas a better option in colder climates, as they don’t rely on ambient air temperature to operate. These systems use either LPG or natural gas to heat the water by running it through a heating unit, allowing you to bring your spa pool up to the right temperature quicker than a heat pump. There’s also solar. It’s an eco-friendly option, using a system of glass tubes aligned together in a sunny spot on your property (like the roof). Cool spa water runs through these tubes, heats up thanks to the sun heating the glass, and then runs back into the spa pool. If you’d like to get more inspiration for your pool or spa project, head over to the Pools & Spas category on our website.